Following is the list of the top IB Schools in Bangalore 2019 affiliated to the International Baccalaureate educational foundation. IB schools have created a distinctive niche for themselves in terms of curriculum, approach and method of testing. Click and discover the top IB Schools in Bangalore 2016. Find all the information you may need about these IB schools of Bangalore right from admission to facilities. Bangalore International School is oldest international schools, located in Banglore. 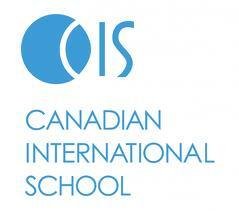 Canadian International School is one of the best institute in Bangalore. Jain International Residential School is founded in the year 1999 by JGI whose aims include the holistic development of its students in grades four to twelve towards enriching the quality of life. Candor International School is a co-educational institution located at Bangalore. Sarala Birla Academy (SBA) is a leading educational institution for children belonging to internationally minded families.